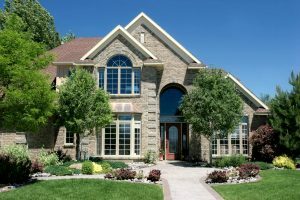 Is it time to replace the windows in your home in Plano, Texas, or a nearby community in the Greater Dallas area? If so, trust the project to Quint-Pro Siding & Windows. We are the area’s go-to home improvement specialists, as we offer the best value for our customers’ investments. You can rest assured that when you partner with us for your window replacement project that our products will provide an enormous boost to your home’s beauty, energy efficiency, and protection against the elements. In addition to the top-of-the-line Advantage Plus windows we offer, we also install Simonton vinyl windows that are beautiful, energy efficient, and customizable. No matter which window you choose, you can feel confident that your investment will be thoroughly protected, as our products come with an impressive lifetime warranty. When you partner with Quint-Pro Siding & Windows, you can expect to receive exceptional service as well as high-performance windows. Our commitment to helping our customers make the best long-term investments for their homes and providing meticulous yet efficient installations has earned us the HomeAdvisor Seal of Approval. Contact Quint-Pro Siding & Windows today to learn more about the replacement windows we install for homeowners throughout Plano, TX, and the Greater Dallas area. When you do, ask about the convenient financing options we offer to qualified homeowners.